Oil prices collapsed on June 7th. They had been on a downward path since the close of the OPEC-NOPEC meeting on May 25th, but news of a potentially large drawdown in crude stocks appeared to arrest the downward trend on Tuesday, June 6th. The American Petroleum Institute (API) reported that crude inventories dropped by 4.6 mmbbls, well above the industry expectation of 3 mmbbls. Until this was announced, WTI crude prices had opened lower for five sessions in a row. The price decline levelled off, and crude prices stabilized. 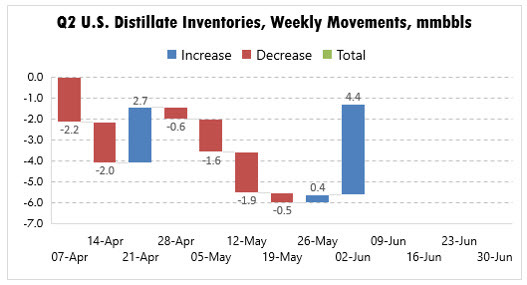 On June 7th, however, the Energy Information Administration (EIA) released the official data on inventories, showing an addition to crude stocks of 3.3 mmbbls. Crude prices fell by over $2/b. The following three figures show the weekly increases/(decreases) in crude, diesel, and gasoline stocks for the second quarter to date, up to the week ended June 2nd, as reported by the EIA. The figures are created in waterfall format, which shows the weekly movements and tracks total inventory as well. 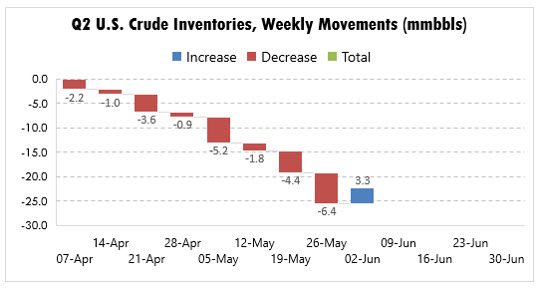 Figure 1 presents the weekly movements in U.S. crude inventories As refineries completed spring maintenance, crude runs rose, and crude inventories were drawn down for eight weeks in a row. The crude stock build of 3.3 mmbbls this week was a serious beak in the industry’s expectations. As Figure 2 shows, diesel inventories also had been declining this quarter. Inventories were drawn down six of eight weeks until this past week, when inventories suddenly jumped by 4.4 mmbbls. 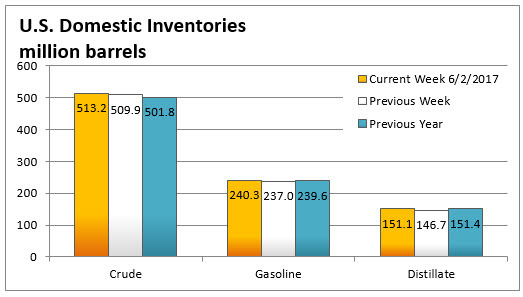 Figure 3 presents the trend in gasoline inventories. 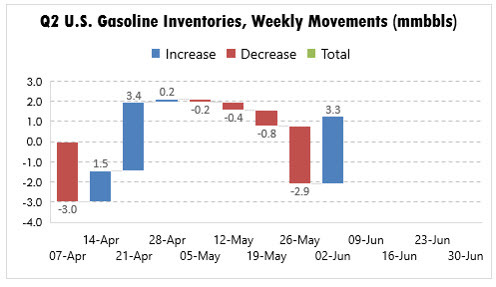 Inventories rose appreciably in April, then slowly began to recede as the driving season picked up. The week before Memorial Day saw a large drawdown of 2.9 mmbbls. For the current week, however, 3.3 mmbbls flowed back into storage. Figure 4 summarizes the current inventory status. Crude stockpiles stand at 513.2 mmbbls, 11.4 mmbbls higher than last year’s level. Gasoline stockpiles are 240.3 mmbbls, 0.7 mmbbls above last year’s level. Diesel stockpiles are 151.1 mmbbls, 0.3 mmbbls below last year’s level. The global oil market is strongly focused on the issue of oil inventories. Draining some of the excess in storage is the premier goal of the OPEC-NOPEC production cuts. Until this latest set of inventory data, it appeared that U.S. inventories were all heading down. Although a single week of inventory data does not set a trend, this week’s across-the-board elevation in inventories was a serious shock to the market, and prices have dropped sharply in response. This article is part of Daily Market News & InsightsTagged oil, stocks, U.S.